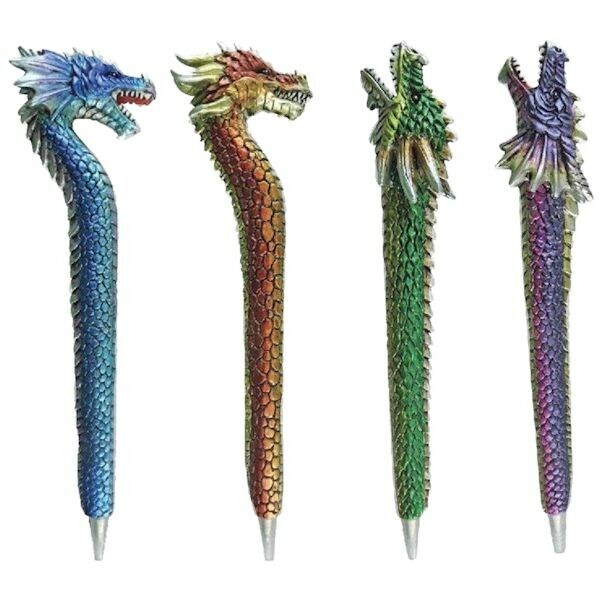 Pen the greatest of tales with the fiery beauty of this legendary beast. Silvery metallic finish for amazing details. Black ink. ABS, silicone and stainless steel. Set of 4. 6½"